Twice the Service For Half The Price! Now you know that your small business needs internet marketing, but you don’t know where to start. These packages will give your business a customized online marketing strategy. Beat your competition with a customized social media marketing package tailored and priced to suit your company’s budget and fulfill all your online advertising needs! Whatever your marketing goals are, we have a solution that’s just right for you! As the future of advertising relies heavily on a strong, informative, social online presence, we provide the services to get your company where it need to be and FAST. Be prepared to blast your way through the social media mess with this powerhouse marketing strategy, good for all sized businesses! We will work with you to get to know more about your business and learn what the best strategies would be for your market by examining the best plan of action for marketing your Brand. We will review all of your existing networks and work to improve them to achieve your marketing goals online! With a 1 hour phone call, we will go over what we will need to do for you in order for you to reach your sales goals. Spend 3 days going over your social networks and make sure they are set up correctly. We will provide you with Expert tips on how to improve your social networks. Monthly social specials and promos. Note: All contracts based on a minimum 6 month Contract Billed Monthly. Having a great looking website is not enough! Having a mobile friendly Blog is essential! With this package, we will also setup, customize and integrate APIs (Active Programming Interface) from social networks like (Facebook, Twitter, FeedBurner, LinkedIn and YouTube) seamlessly into your website, this establishes trust and showcases you as an expert in your industry. Your blog is always the main backbone of your social media marketing strategy and has to be setup correctly and professionally. Social Media Set Up and Support! for Facebook, Twitter, FeedBurner, LinkedIn and YouTube! We will create and setup your blogging and social networks that includes Phone or Skype support services (2 hrs a month) and a weekly reports to show your increased traffic. Your new Blog gives you the opportunity to promote new products, new sales, products, specials, promotions or just whats happening with your business. Your customers will want to know other news and activity within your organization and offers a way for customers to trust you more than the competition. All additional pages (written by us) start at $40 per page including 1 custom graphic. All additional pages (written by the client) start at $20 per page including 1 custom graphic. We can also supply all content, graphics, images and video as well if needed at no additional charge. This Package also includes: Blog Management, Security updates and Maintenance for 6 months! With over 2 Billion Users and growing and an average time spent of 3-4 hrs a day per user. Social Networks like Facebook and others has an enormous “MARKETING POTENTIAL” for any business. A Facebook Page and Facebook Places is now essential for your business to grow on-line. I know what your thinking “I cant spend all day on Facebook To Promote my business, i don’t have time” That’s where we come in. 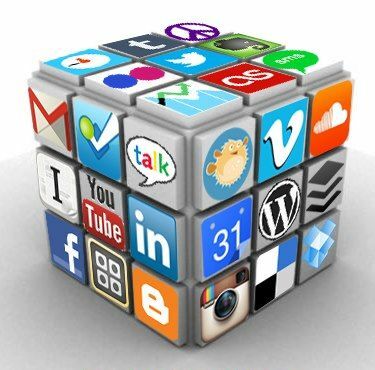 We will customize your Social Networks profiles for you and your business. The goal of Social Network marketing is to make your page interesting enough to encourage fans to join and people to buy your products and services. Social Network Marketing also offers a “Comfort Zone” for many customers as may people only go to Facebook and nowhere else on the net. Facebook Pages and Twitter profiles in some cases also rank higher in the search engines than websites. Facebook Page Set Up, Management and Promo – as part of our Facebook set up, we create photo albums, start forum topics, and upload videos to get you started. Custom Facebook Landing Page – Custom Facebook Landing Pages can increase the number of people who “LIKE” you on Facebook and will buy from you. 50 Initial Facebook Followers – We will make friends with people who may be interested in your product or services and ask them to “Like” your page. Accepting friend requests and following back. Send you alerts from people who are interested in your services or products via email. LinkedIN Account Set Up and create profiles and groups. Research groups to engage with. Create up to 5 videos per month based on your brand. Set up your Company YouTube channel. Custom design the channel to align with your brand. SEO your videos, to get found on YouTube and Google search. We will supply all images, graphics and videos at no extra charge. SPECIAL OFFER! One-time $50 discount off any package good until June 1st 2013! Contact Us Today!